Yesterday morning our bento delivery lady happened to mutter as she was leaving, "My family used to do that." 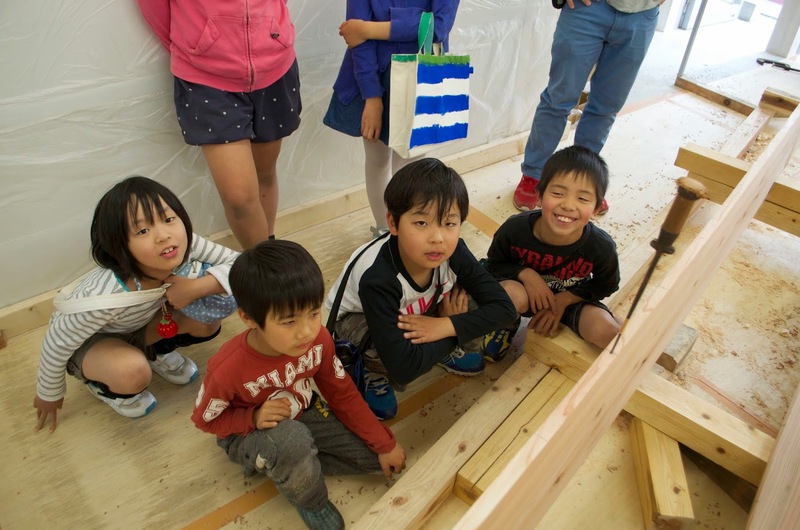 I stopped her and it turned out her grandfather was the last wooden boatbuilder in Kameoka! I had heard of him and she told me her father followed him into boatbuilding, but only built fiberglass boats. She promised to ask her father for more details about her grandfather and get back to us. We'll keep ordering bento lunches to make sure we see her again. Finishing up suriawase fitting the two side planks. In the photo above you can see a nice, even seam which will create a tight fit. 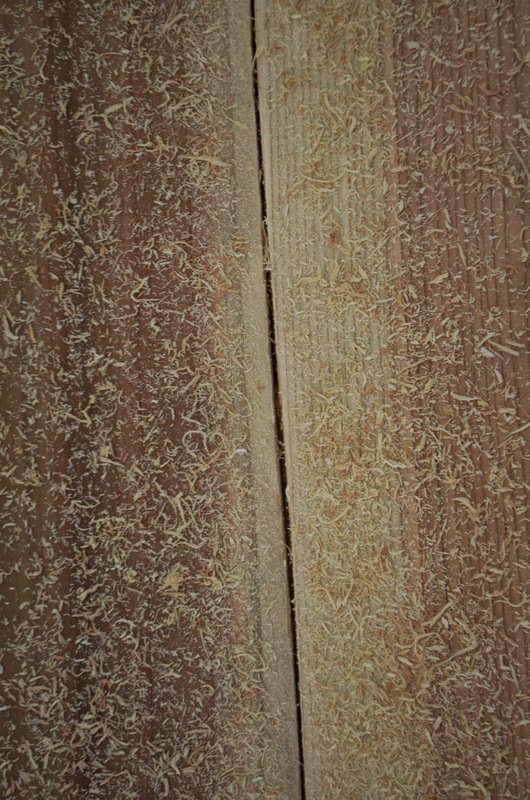 Below you can see how the kerf opens. 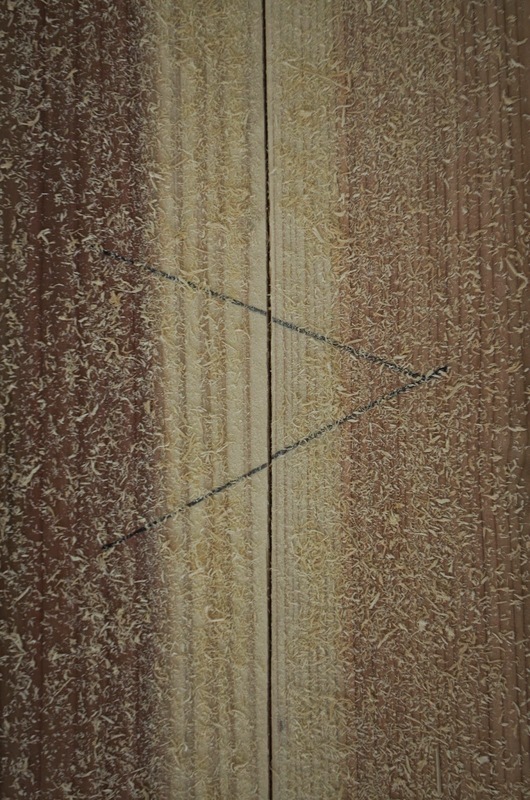 Its just near the surface, the result of twisting the saw slightly. The more you do this technique the more you appreciate the subtleties. And the biggest bummer of the day: I broke the tip of my finish saw. The seam got tight and that's all it took. Japanese tool steel is harder than Western tool steel. 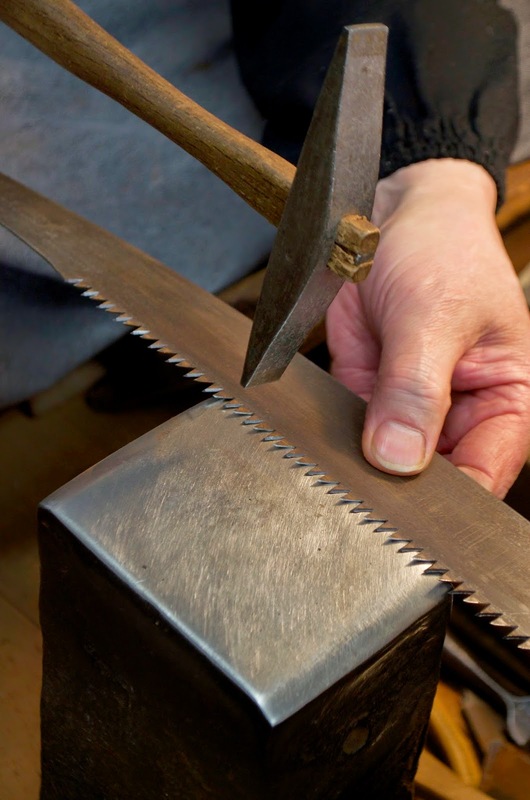 One can get a sharper edge on Japanese tools but the trade-off is a more brittle material. This really took me by surprise but I am glad that I did this and not one of my volunteers. 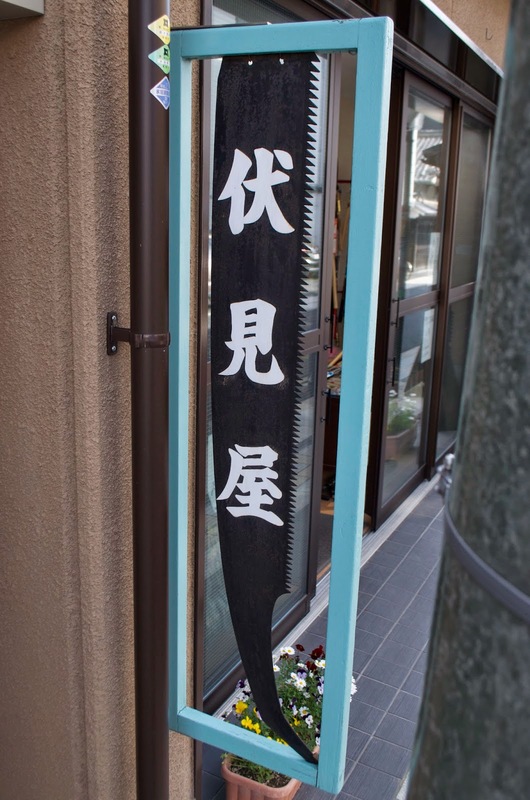 So right down the street is a metateya san, or saw sharpener. He runs a very nice tool store but spends most of his days seated behind a low bench sharpening tools. He also has a huge circular sandstone wheel. I left my broken saw with him and he will recut the forward end for me. 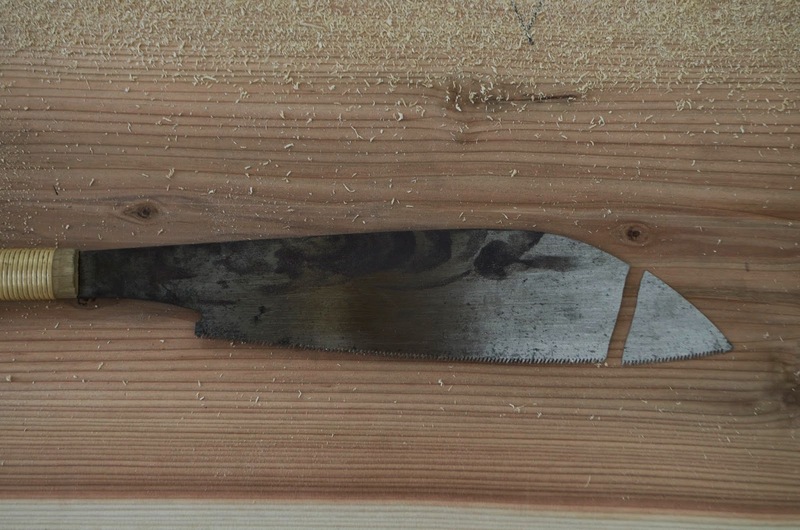 I've seen plenty of broken saws in workshops in Japan, and if they are good ones craftsmen keep using them. I had a craftsman give me a broken saw as a present. The blade is only a few inches long but he wasn't the least bit ashamed of the gift, insisting it was still usable. Adjusting the set of the teeth on a saw. 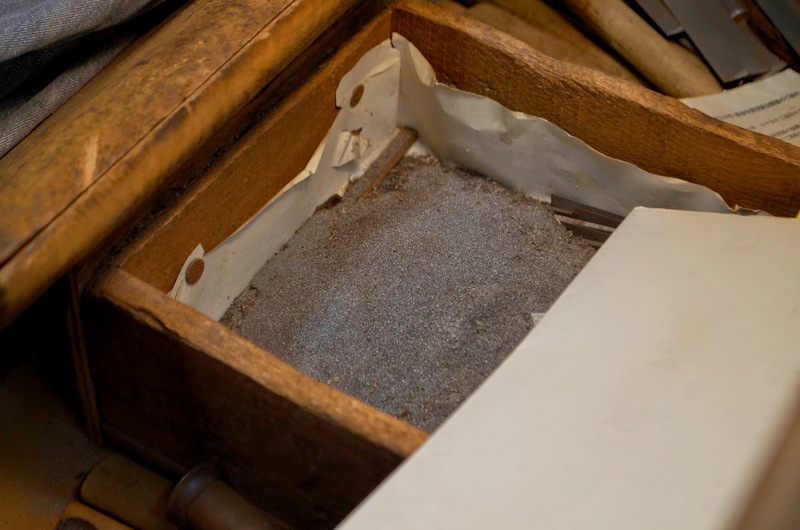 At his sharpening station he had a box to catch all the steel filings. I asked him what he did with them and he said something about a bathtub maker mixing them with something in the construction of bathtubs. I can't make heads or tails of that, but plan to take someone down to the shop with me to get a full explanation. A local man came by who runs an afternoon woodworking shop for kids. He brought half his students and will bring the other half today. He made them each come up with a question for me and I had them all sign the edge of our plank. My first teacher used to write sayings of good will on the plank edges. Once assembled they were hidden, and he didn't tell his customers about the practice. 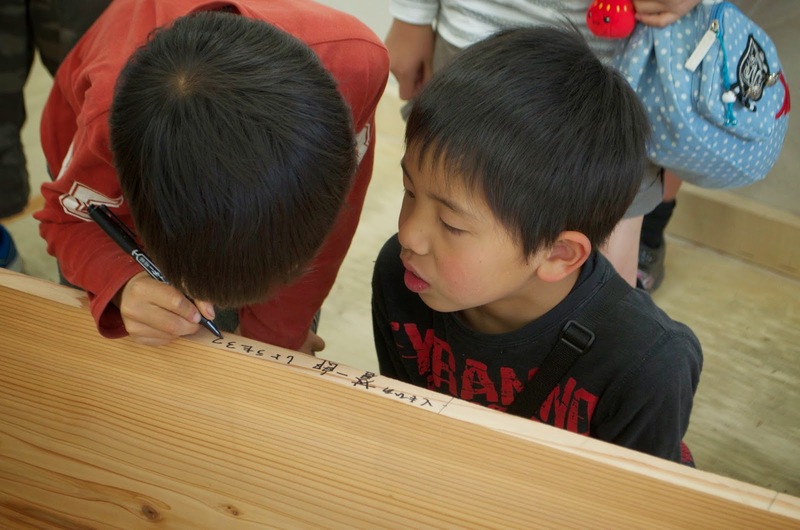 I've been letting school kids sign their names on my boats when possible. Great to see traditional Japanese saw sharpeners active, are they common these days or a growing rarity like traditional woodworkers? I just mentioned in my latest post how a visitor was saying how sorry he was that shops like the metateyasan's are disappearing. Family run businesses, many of which have been going for generations, now compete with both big box stores and the fact that the sons and daughters have other opportunities. Its both sad and understandable. I always enjoy poking my head in a small family business, whatever it may be. Further down the street here is an old geta shop (wooden shoes) that is quite charming. 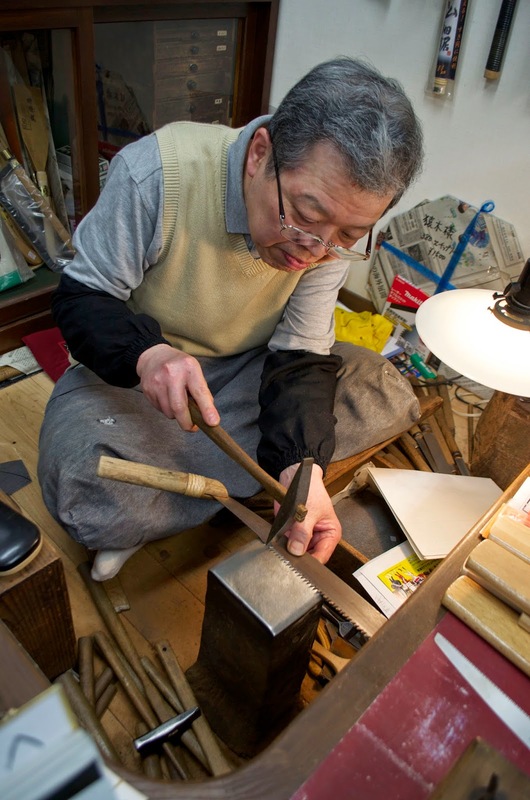 I agree, it's so nice to see traditional Japanese saw sharpeners.